Hello everyone. I wanted to share a beautiful twin flame healing story with you and the profound outcome of the healing for all the astral beings. This selfless beautiful highly evolved soul brought all astral lower energies and beings to their rightful etheric ascension. The astral world is basically a plane where beings that die from a physical death on Earth go to where they continue their soul and consciousness growth and evaluation. These beings have an imbalance of karmic cause and effect from their own mis-creations based on the senses while living on Earth through hundreds, and sometimes thousands of lives in reincarnated bodies. These include people that have committed suicide, treated themselves or others badly with their mis-creations, thoughts, emotions and feelings and have not yet balanced these cause and effect mis-creations causing the karma to be unbalanced. 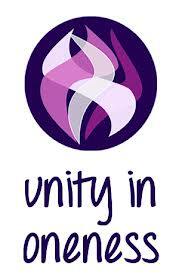 Any unbalanced karma must be balanced based on Universal Law, conforming to the Law of Love, the Law of the One. However, beings from the astral world during this ascension do NOT leave our plane, they proudly ascend with us, as they are One with us. Earth is a school of consciousness growth and all beings here at this time have passed their exams and are ascending, if they so choose, and not going somewhere else for more lessons as the lessons have already been learned. The choice is theirs and all have come here to ascend through the final dispensation of karma given by the unconditional love and grace of God. God loves all His children, especially the ones that have forgotten their heritage and lost their Divine Presence within that may seem to be lost or difficult to love. The more difficult a child is to love, the more love that child needs. And all beings are children of God that are so loved, unconditionally, regardless of what they choose to experience on the earthly plane based on their own destructive creations of their outer self and sense desired creations. This person that received the healing, who we will call John, was married to woman, who we will call Sally. These are not the real names, but just used to identify them for this posting. They were married for many years and one day Sally committed suicide. Usually when there is a suicide, it is due to lack of love somewhere in their life. Either they are not feeling loved or do not love themselves for whatever reason. John was very hurt and sad because of this and expressed this to me before the energy healing. The suicide occurred years before this energy healing but still John hurt inside and has not really been himself since. Amazing things happened that were shown to me during the energy healing which I will now share with you in this post. During the beginning part of the energy healing where I begin to clean and energize the chakras, I noticed Sally was approaching John and me in the crystal healing chamber that we were in. She had a smile on her face and greeted John. The embrace that these two souls had was beyond words. Sally was John’s twin flame. I literally saw them become one as Sally merged her essence and being with John’s. The two instantly became one being. But before this merging, she brought with her a few friends, millions and millions of friends. What I saw was also beyond words. I saw a black sea of movement in all directions around us for miles and miles. At first, I did not know what this was and asked Arch Angel Michael to light the way and stand in his full presence and protect us. Then I saw huge clear healing crystals appear from the ground extending and expanding the healing chamber by miles and miles in all directions. These healing crystals were apart maybe ten feet so there were thousands and thousands of healing crystals about ten feet apart from each other in every direction that lit the area up with white light as the crystals were radiating white light. What I saw then blew me away. I saw millions and millions of beings that were dark beings that were lost standing all around these large crystals. They were dark in the sense that they had lost their flame of Divinity based on their mis-creations of the God Energy within themselves and their light did not shine. John/Sally and I flew over them to see the enormity of these souls. I saw sadness, grief, shame, a lack of self-worth and all other feelings and thoughts that were mis-created by these beings. These were souls that have committed suicide, souls that had very unbalanced karma that needed to be balanced, souls that were in the astral world, in limbo between the physical human reality and the light reality of love consciousness. We also saw millions of candles being held by angels on the outside of the holy healing chamber encompassing the chamber as well as from above us. Sally brought these millions of souls here to be healed, so that their tri fold flame of love, wisdom, and power could be lit so high allowing them to find their Divine Presence within and to Love again. She said she needed to experience their pain in order to help and this suicide was her choice. This WAS her life purpose, to bring these souls to their etheric ascension. She then merged again with John and I began to clean and energize John’s chakras. John stood on a slightly circular raised platform where all the people I heal stand on. Around us were 12 large healing crystals formed in a circle and around this stood in a circle all the ascended masters watching outward radiating their light and love to the millions of astral souls that were present. I set the intention that the healing is for all these beautiful lost souls as well as for John and I then started the chakra cleansing and energizing. As I said this, I touched the chakra and watched it move and slowly vibrate. I then said to it “you are energized and filled with liquid white light.” Normally when I say this, the 12 large healing crystals that are formed in a circle around the person that I am healing will be fully energized and turn to a high intensity white light and then I envision rays of white light leaving the tips of the healing crystals and entering the chakra I am working on, thus energizing the chakra. In this case, it was the crown chakra, as I work my way down from the crown chakra to the root chakra. As I said “you are energized and filled with liquid white light,” the most amazing thing happened. All the other thousands of crystals that were ten feet apart also turned to a high intensity white light and then rays of light left the tips of the thousands of healing crystals and entered the chakras of all the millions upon millions of these lost souls. This vision is beyond description. I then said to the crown chakra “you are spinning and you are opened.” John’s chakra opened up and white light poured out from his crown into the Universe, as did the chakras of every one of the millions of souls that were there. It was such an amazing vision as so many brilliant white lights were flashing from the ground into the darkness of the sky, lighting up the sky. I did this for all the chakras and eventually all that was there were lights being projected outward from chakras of millions of souls in every direction. Then I began to clean and energize the inner aura, the etheric body, the emotional body, the mental body, the spiritual body and the outer aura. Again, I cleansed these bodies like I normally do with all my healings and energized them with liquid white light. Once all this was done, I could see so many light bodies, millions, upon millions. Then, I called in Mother Mary to place her sacred heart into the hearts of these souls and She placed Her sacred heart into John’s heart. After this happened, the heart began to multiply and spread into all the millions of beings, all the millions of beings had the sacred heart placed in their heart, through John’s heart. I then held John’s hands and asked him to breathe light in and out slowly with me. Together we breathed slowly in and slowly out as One breath. We were breathing in light with the heart and not air through the lungs. Our bodies in the new Golden Crystalline Age that is upon us are crystalline based, not carbon based and light is the oxygen that flows through the heart. All flows through the heart. Then, collectively in unison, all the millions of beings breathed as One. So many energies were running through me at this time and my hands were completely illuminated as white light as energies were flowing through my palm chakras of my hands. 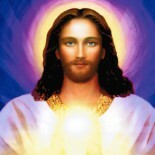 Then I placed the Golden Energies of the Christ Consciousness into John’s Sacred Heart and watched the golden energies engulf all the millions of beings. I saw a sea of brilliant gold light for miles and the darkness faded. Again, we all breathed as One breath of God. The Christ Consciousness IS the breath of God AND the Heartbeat of God. It is LOVE. As this happened, all the darkness in the sky went away and all became light. The darkness disappeared. I looked up and saw the Divine Mother above sending out her rays of blessings as I wept. Mind you, I am seeing this as clearly as I see anything consciously given that I am projecting my consciousness to this sacred holy healing place during the energy healing. I then brought in the karmic board members and asked them that all the attachments and cords and karma be removed from John from this life, all past lives, all extensions and aspects of John from all dimensions. I was guided to also ask this this happen not just to John, but also to all his family, ancestors, and lineage from his past and future. In addition, I asked that this also be removed from all of the millions of souls from the astral world that were with us at this time. Jesus, came forward and placed his hands a few feet away from John. I then felt a vacuum being pushed into me as all the stuff was being vacuumed from all the beings, going through John, and into my body and out the soles of my feet and into the Mother earth where it was transmuted into the light with Love. So many energies were being channeled through me at this time and I felt all of this in my tandem area, which is the area below the belly button. More happened after as we walked into the heart of the astral beings, which I will not go into at this time. But just know that we are all One. We are all so loved, regardless of what we have done and created in our lives. Please love all of the dark astral beings that are now back in the light, back in the kingdom of God, where they all belong. They are the ones that have taken on the hard role to teach us about love and the light. They are the ones that show us how much the light is loved and appreciated. You cannot know how wonderful the light is unless you can compare it to something that is not the light. Then, you realize that you like the light. And it is these beautiful selfless beings of Light that have taught these lessons to all of us. They are the ones that have taken upon themselves and carried on their shoulders to carry this difficult burden to help us grow in our consciousness. All of them agreed with you before they are incarnated that they will do this for our consciousness growth and all of them knew that they may get into trouble and lost in this darkness. It is now time for us to bring these our brothers and sisters back to the light. The Earth Plane is a place for consciousness growth. The people that you may dislike the most in your life are your greatest teachers. Honor them! Thank them and love them!! We are all One and the things that we experience on Earth do not exist in the higher dimensions of love. I am so blessed to know John and Sally. They are blessed and they are loved as is every astral being. There is no splitting off of two worlds, one for those that will ascend and one for those that need more lessons. 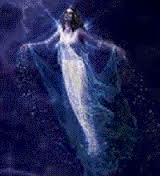 All lessons have been learned and the primary reason we are all here, the life purpose of each soul incarnated at this time, is to ascend. The soul and higher self knows this and we are all being prepared for this through release and forgiveness, patience, and most importantly, through LOVE. Please love everyone, be kind to yourself and love yourself. You are all children of God and God is perfection which makes you perfection manifest! Fell, know and accept this truth!! Let me say that so many visions have been shown to me and imprinted in my soul and essence and soon in a not so distant NOW moment you will see changes coming to Earth. If the visions pan out, it will be in the sky initially and it is not UFOs or comets. And no media will hide it. All souls will feel it in their core, regardless of your physical location on Earth. I’m about to commit suicide tonight and after reading this I feel like it was my ultimate life purpose, I had a problem with molly and if you look up the long term effects of it , it can be very serious and I’m suffering from almost all of them, my mind I know in my heart and soul is not capable of living in the truth and light on this plane for much longer and I feel like my suicide has noble intentions because I don’t want to make my family go through all the hurt I’ve put them through anymore , and I feel like they could deal with me dying better than me living in a psych ward. I’m going to look up how to call upon archangels Michael and Gabrielle tonight to protect and guide me tonight to the light after I die. I know this is over a year old but I’m have faith that this message will make its way to you. Regarding the Event, I had a vision as well and it started with the sky…. Have wonderful Now moments on this beautiful planet…. And I send all my Love, my Light and my gratitude to Sally and John as well (to you too) for doing such a great job in helping so many souls come back to the Light. Thank you dear Andy for this post especially about loving the darker souls because without them, we would not have experienced Light the way we did. I know what you are talking about because I reached to my Twin Flame many times over eons to bring him back from very deep darkness and I have done it again in this lifetime. 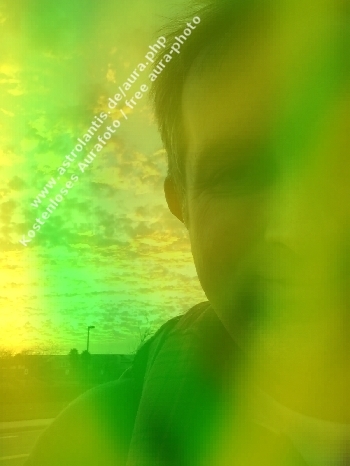 We’ ve been living together for 15 years and it has been tough (3D love) because of the difference of vibrations(I’ve been aware of this for the last 2 years – beginning of 2012). I almost left because he took all my energy and all my bodies were very damaged, I had little protection left but still I stayed (aware of the problem) a few months ago though I was being told that it was urgent to leave each other because the energies between us were getting more damaging every moment. So we did but releasing all the karma left was really tough these last 6 months (I know I have been releasing during all this incarnation) but I’m at the end of the cleansing and now I’m in Joy because I’ve been told that in a year or so we will be reunited again in this incarnation. We just need to be with other people to get healed and to be able to create the right energies (5D and unconditional Love) so we can finally be together. I know my Twin Flame has been so courageous to take that dark path to finally reach the Light as he will very soon. That’s why I send my Unconditional Love to these darker souls for being so strong and full of courage. Without them, we would not have known the Light the way we do Now. Thank you so much for sharing this beautiful and amazing healing, …I am still crying….such a wonderful gift..
Blessings of Love and gratitude to all and especially You Sally and John..
Reblogged this on Archangels and Devas. Pingback: How the Astral World Already Ascended | Illuminations Now!! 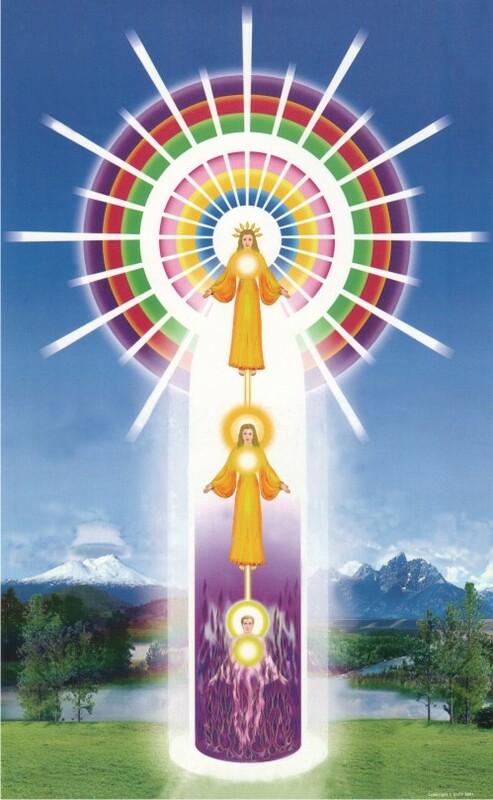 This entry was posted on March 12, 2014 by Andrew Bojarski in Andrew's Posts and tagged Arch Angels, Ascended Masters, Ascension, Awakening, Chakras, Channeling, Energy, Energy Healing, Healing, Higher Self, Love, Meditation, Spirituality.